One landed unwisely on a hot burner, and crumbled. I found another perished in the sink. Each spring they appear, ungainly, all legs and wings, like super-sized mosquitoes, and die in the windows of my house. I try and usher them out the door, but they seem determined to stay inside. Suddenly curious, I looked them up on the Internet and discovered a site that identifies Texas insects. These over-sized mosquitoes are crane flies. Some of them do not even have mouths, because they have one purpose only while winged: to meet and mate and breed. My irritation at the jumble of legs and wings in my daughter’s bedroom windowsill is replaced with wonder. How fascinating that such a creature exists, for most of its life, a legless worm thing in the wetness of a stream bank, and then, suddenly, all wings and delicate legs to soar up into the clear air and seek another such, incidentally becoming a dinner for the birds who themselves are mating. How did such a creature evolve? How made first the leap from earth to sky? How does a crane fly know to fly or find another crane fly? 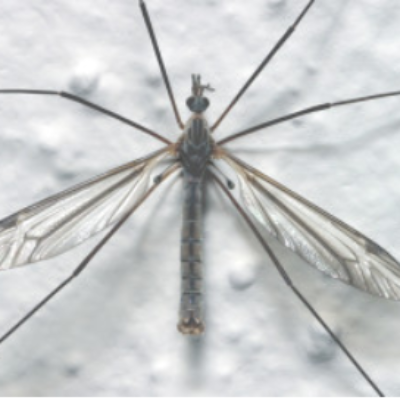 Why are there male and female crane flies? What constitute beauty or brawn to another such winged thing? Why are there more than 15,000 different species of them? (Another wonder: more than ¾ of them were studied and categorized by one man, an entomologist named Charles Alexander!) Wondering at my years of lack of curiosity, I wonder at how blind I am to my fellow creatures, even when they fly right into my face! I was reading Ephesians this week and was struck both by the difficulty but also the beauty of the verses. One phrase still rings. “I pray that the eyes of your heart be enlightened.” Perhaps the practice of wonder at the beauty and multiplicity of the natural world may be a primer to discover the beauty and complexity of the Kingdom that we are called to explore as citizens. My mom always called those bugs “mosquito hawks,” which made me feel like they were the good guys. I cheered them on in their mission of doing good, saving us from the sting of the evil ones.